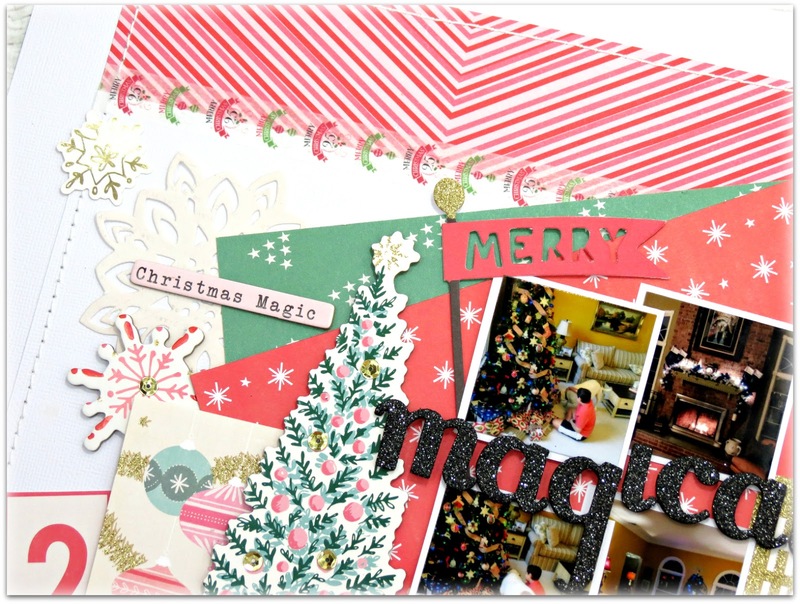 Today I'm back with another layout for My Creative Scrapbook using the December main kit! 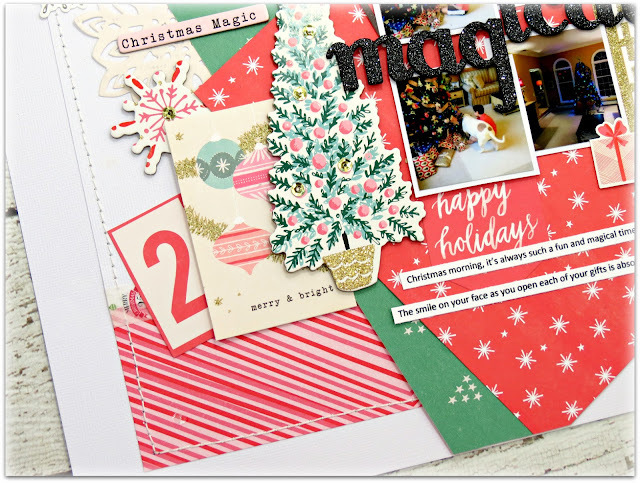 This month's main kit is packed with so many gorgeous patterned paper from Crate Paper* FALALA *collection, so I decided to created a page using lots of layers. I started with a 12x12 white cardstock for my background. Next, I selected the three patterned papers I wanted to use on my page and from this point I started building my layers. I created a 10x10 square with another piece of white cardstock and added two strips of the *Very Merry* patterned paper. One was placed across the top and the other across the bottom. 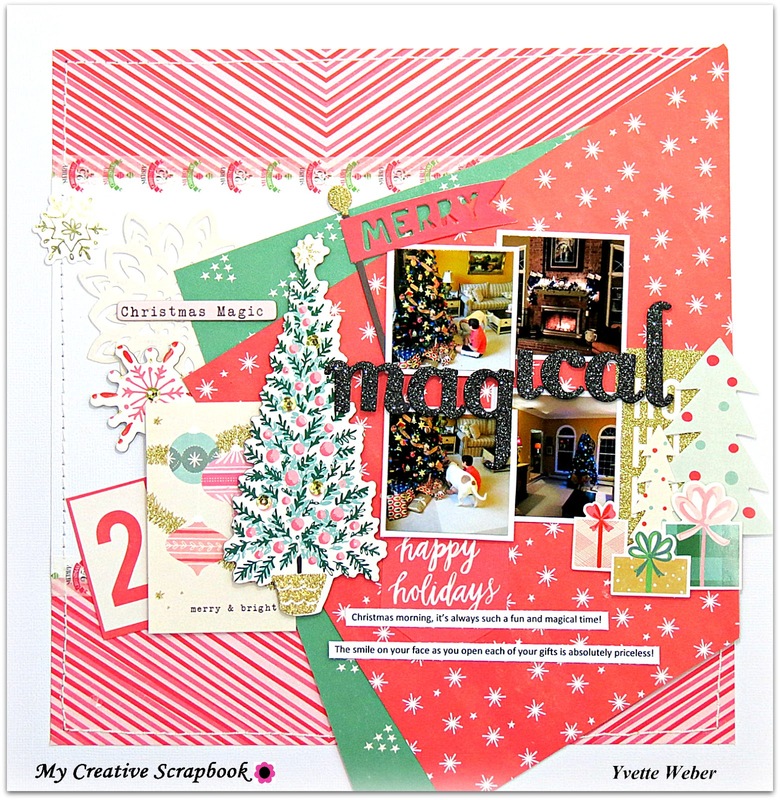 Next, I cut both the *December & Twinkle* patterned papers on an angle and placed one on top of the other, creating a sight overlap to the design. Added some machine stitching around the perimeter to create a frame. Next, I started adding cluster of embellishments, I mixed chipboard stickers, ephemera pieces, stickers and decorative tape (also included in this month's main kit) here and there to tie everything together. I love the added dimension and interest this created on the page. 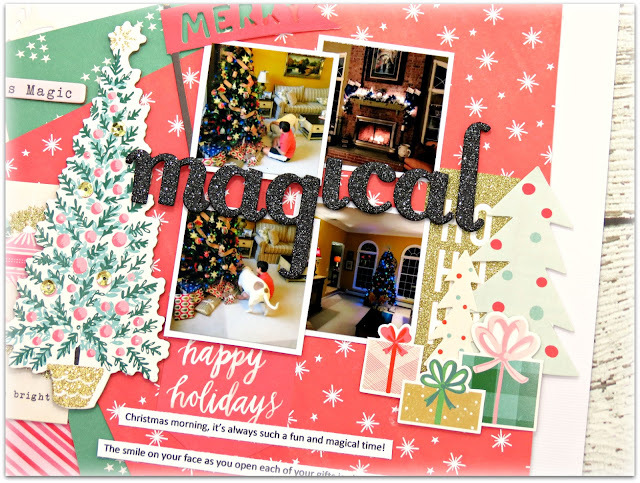 For the title, I used the thickers and tucked the word MAGICAL in between my photos. I had a lot of fun creating this page. 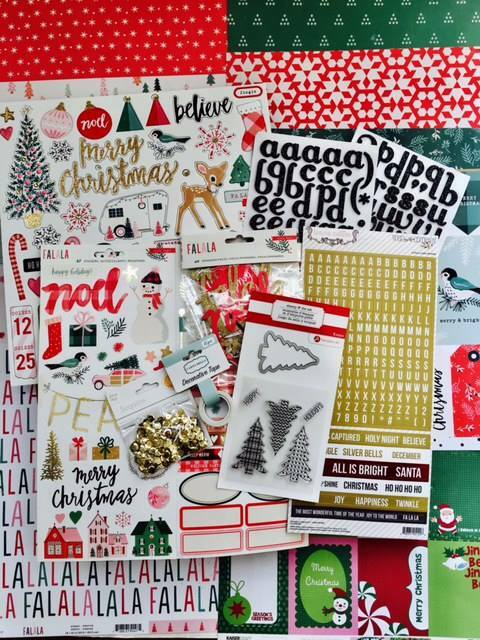 Don't be afraid to try adding lots of layers by using patterned paper and embellishments! My Creative Scrapbook December Kits Reveal Day!